I am not really sure what the difference is between biscuits and British scones. 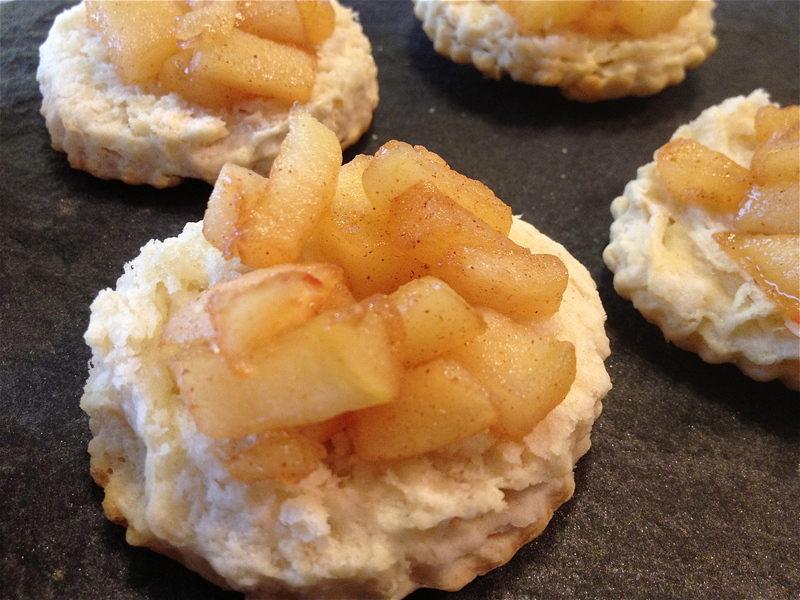 Furthermore, with the caramelized apples on top these biscuits actually kind of taste like apple pie. I think these biscuits would be beautiful as part of a brunch setting. 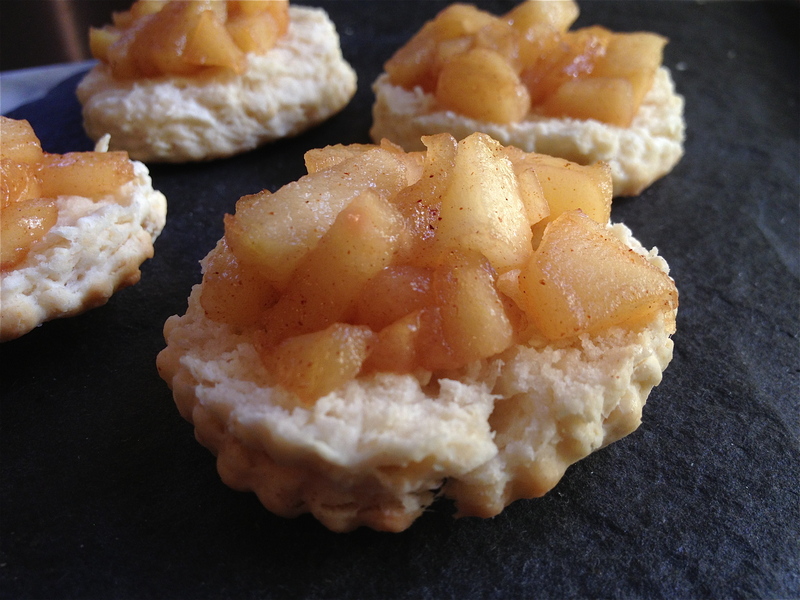 If you don’t like apples or cinnamon, just enjoy the biscuits with your favorite jam or preserves. 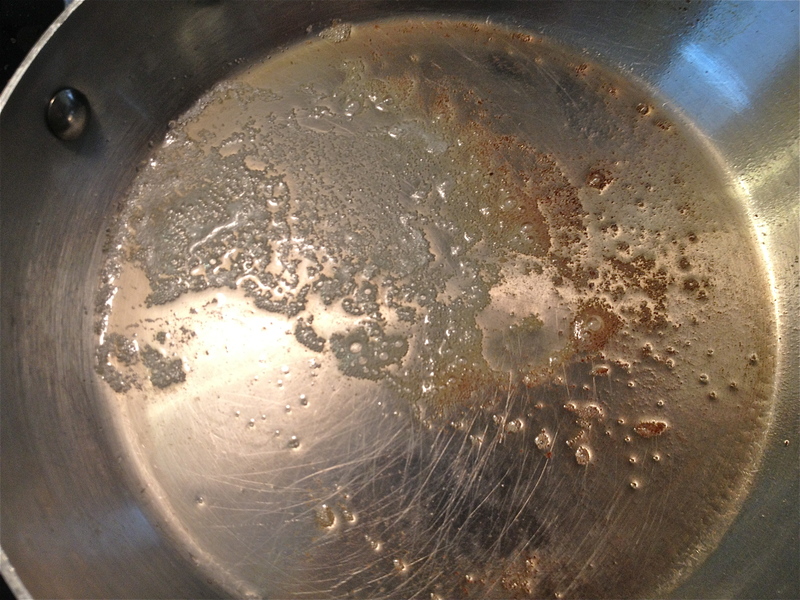 #1- Butter: The butter needs to be really cold. I use it straight from the freezer. 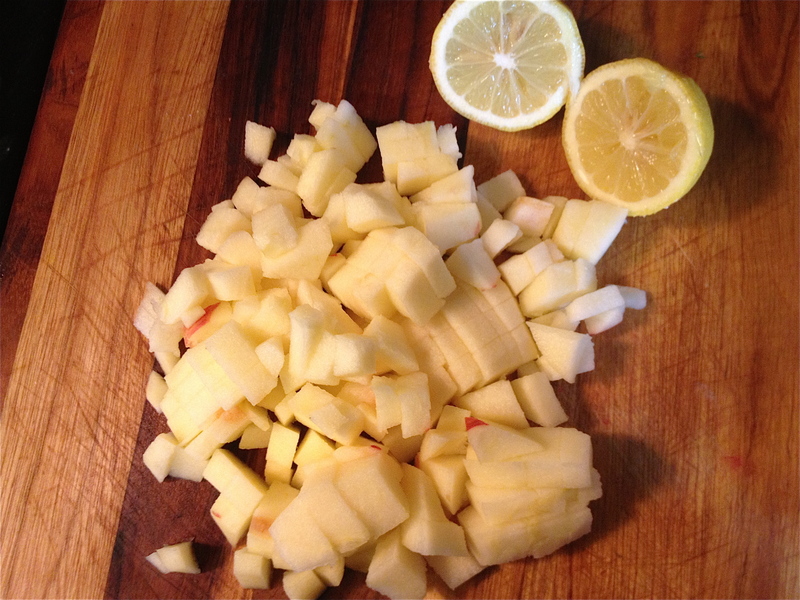 Just use a knife to cut the butter into very thin slices and then cut the slices further. Or, even better, grate the butter using a hand grater. You do not need it to fully incorporate it into the dough like a cake. You just want the butter bits evenly spread throughout the dough. 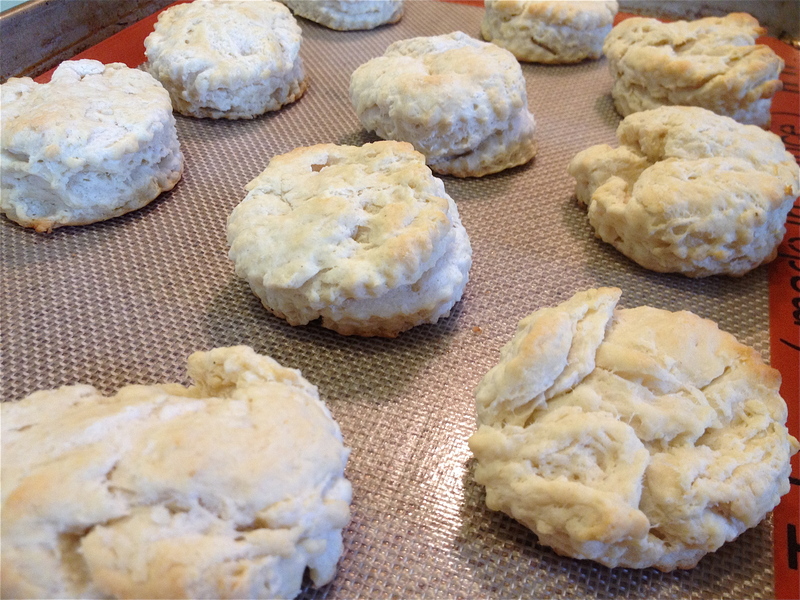 You want the butter to be kind of solid as the biscuits go into the oven. So work quickly in shaping the dough. #2- Mixing: Do not overmix. Use your hands- no food processor or stand mixer. Do not use a rolling pin. 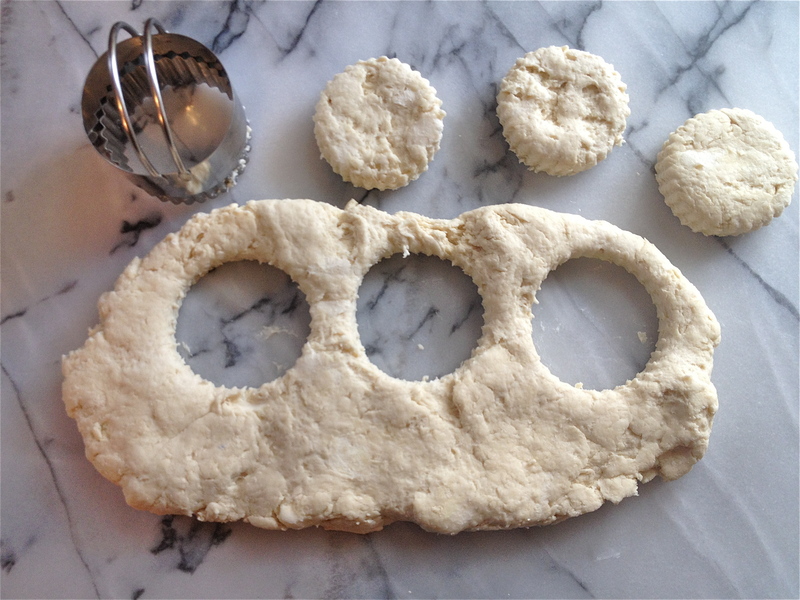 Just shape with your hands and use a sharp cutter to cut into biscuits. 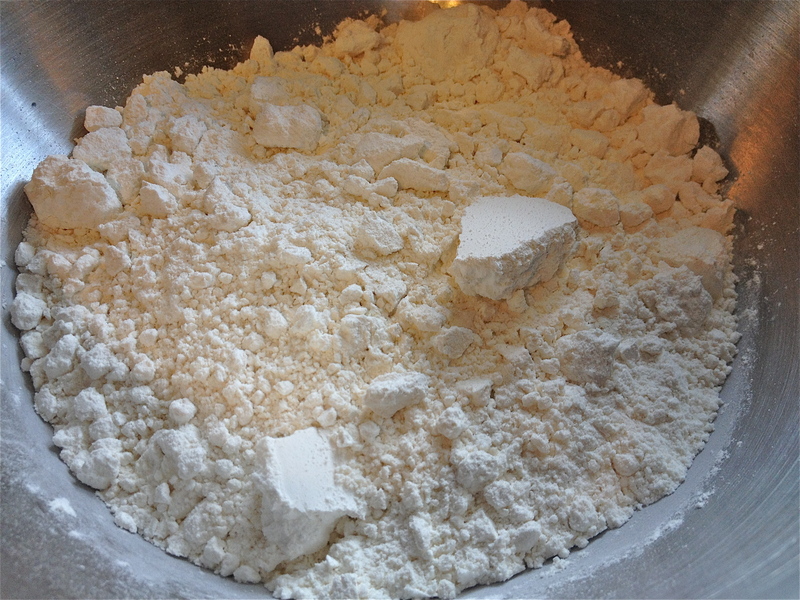 #3- Flour: Use self-rising. It has a lower protein content (softer biscuits) than all-purpose flour and eliminates the need to mix in baking powder and salt (less work is always a good thing). 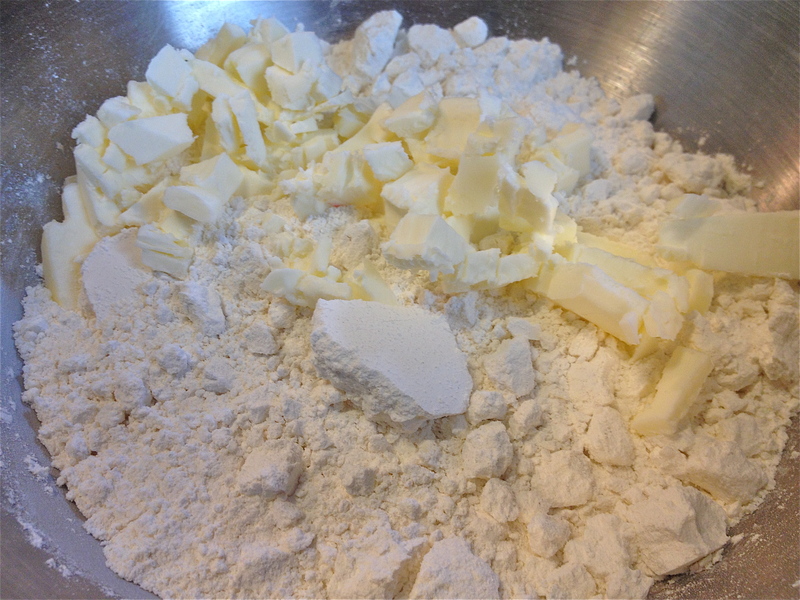 Put the self-rising flour into a large mixing bowl. Mix well with your hands. 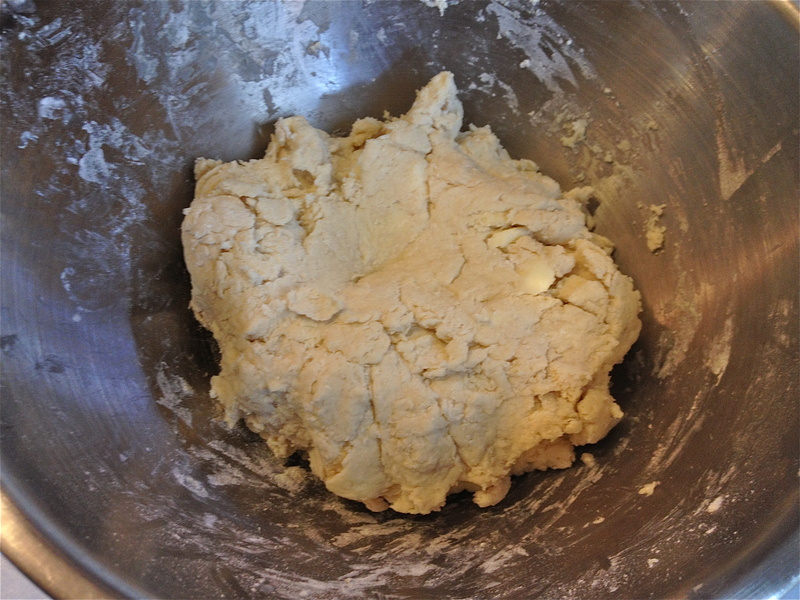 Add the milk and mix until the dough forms. It should not be sticky or dry. 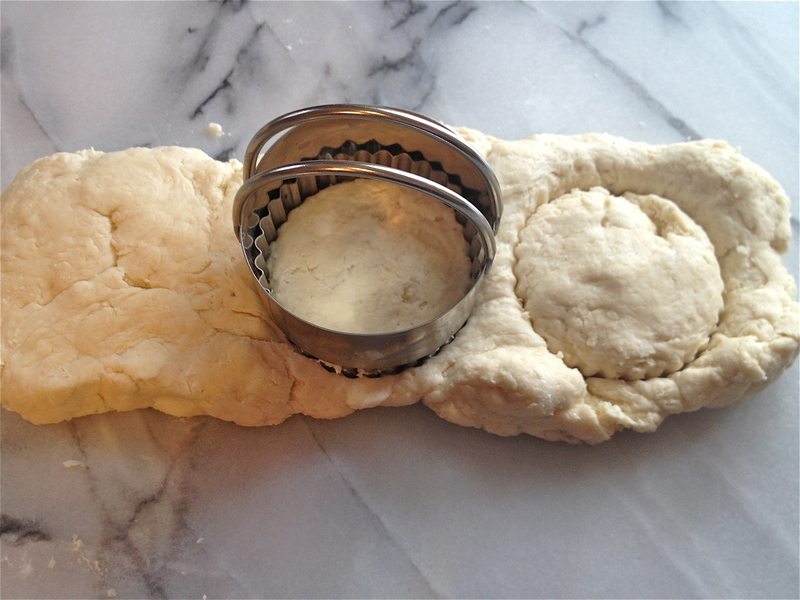 Shape the dough on a pastry board (or you kitchen counter). Just pat it into a rectangle about a 1/2 inch thick. 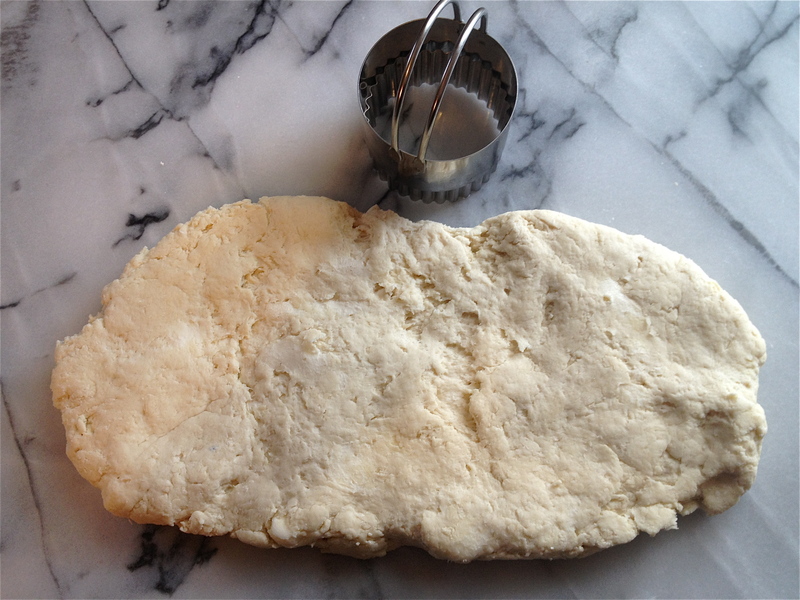 You can either just use a knife to cut the dough into 2 inch square biscuits. Or, use a round cutter (I prefer round fluted cutters). 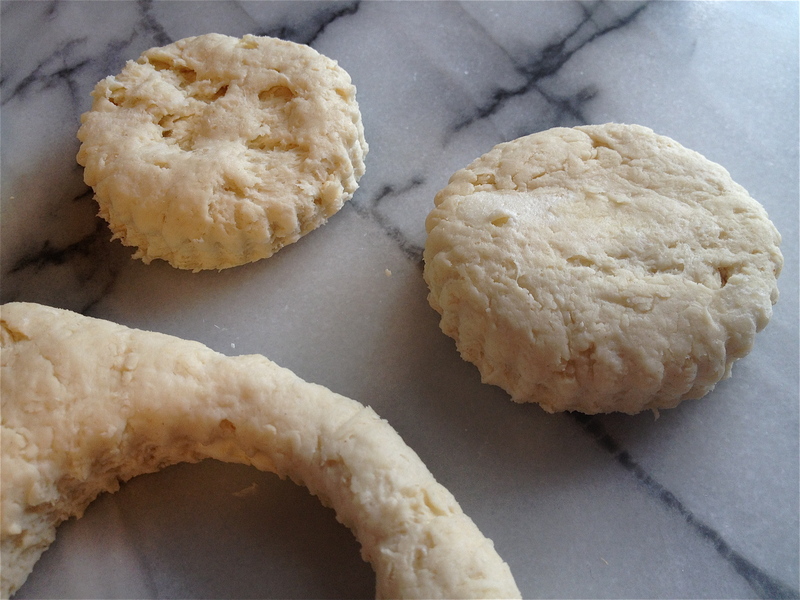 Reshape any scraps by patting together and cut into more biscuits. 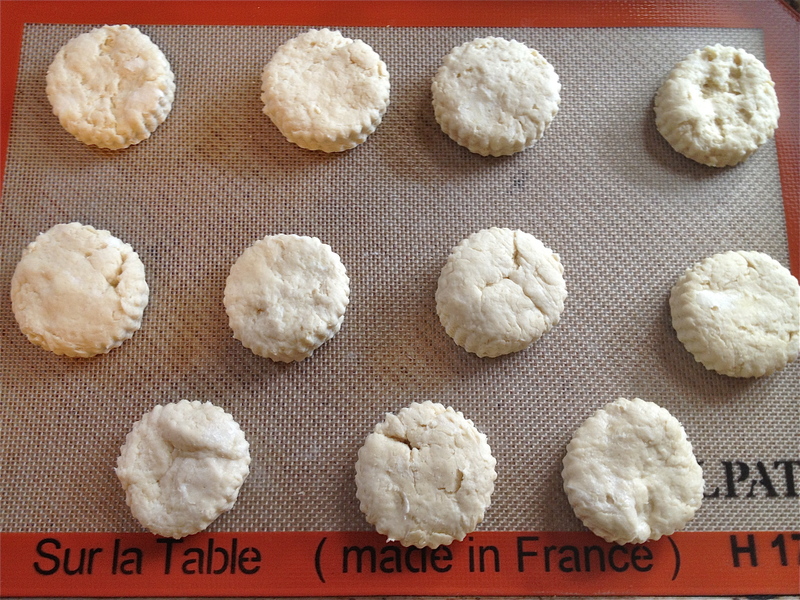 Place the biscuits on a cookie sheet and bake for about 10-12 minutes. 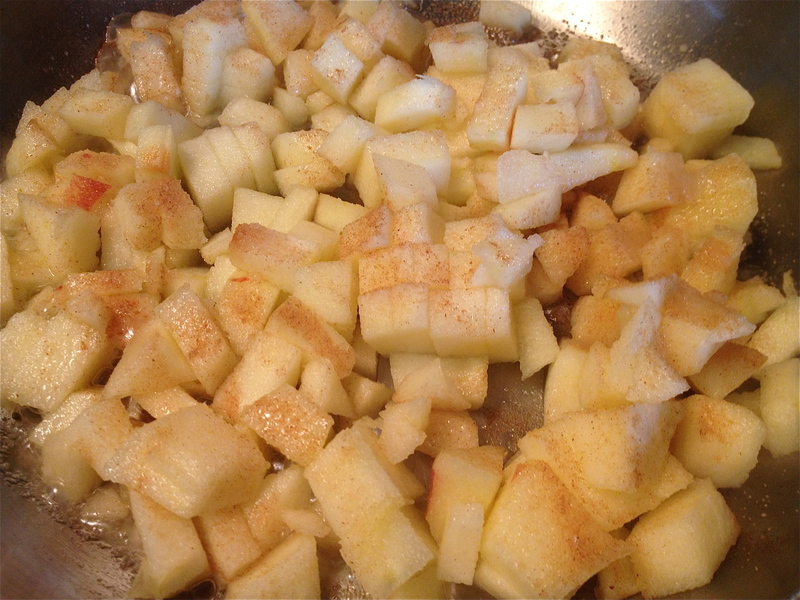 Peel and cut the apples into small pieces. 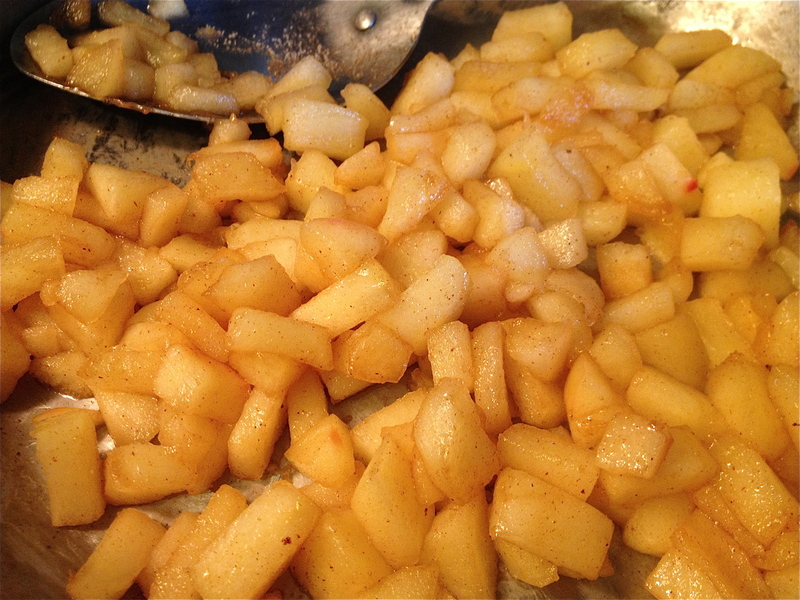 Cook the apples for about 10 minutes. 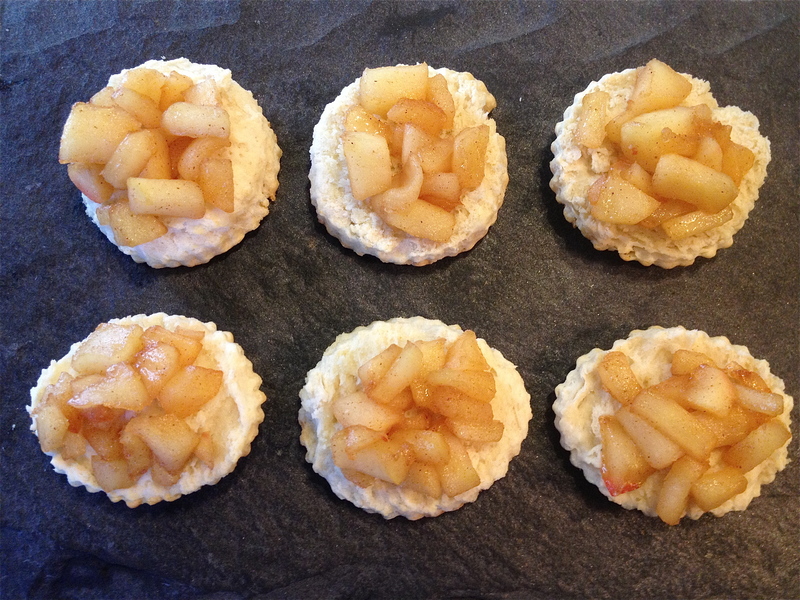 Cut the biscuits in half and add a dollop of apples on top.